Her album Let It Die, which spawned the hit single "Inside and Out", reached Platinum status in both Canada and France and won over critics with its seamless mix of folk, Brill Building era songwriting and minimal modern pop arrangements. The album received four JUNO Award nominations and took home Best New Artist and Best Alternative Album in 2005. In support of Let it Die, Feist toured three continents in over thirty-three months before sitting down to record her next album. 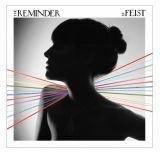 After spending time recording in a 200 year old manor house outside of Paris, Feist is back with her latest release The Reminder. Already certified Platinum, tracks include the hit singles "1234" and "My Moon My Man". Tickets for all three shows are $30 in advance and $35 day of show (including tax) and go on sale this Saturday, Sept. 22. Tickets for the Moncton show are available at the Capitol Theatre Box Office, charge by phone at (506) 856-4379 (1-800-567-1922), Frank's Music and online at www.capitol.nb.ca. Showtime is 8pm. Tickets for the Halifax show are available at the Dalhousie Arts Centre Box Office; charge by phone at (902) 494-3820 (1-800-874-1669) and online at www.dal.ca/artscentre. The show is all ages with a licensed area. Showtime is 9pm. Tickets for the St. John's show are available at the Mile One Centre box office; charge by phone at (709) 576-7657 (1-800-361-4595) and online at www.admission.com. Showtime is 8pm.